Garibaldi Lake doing its thing. It’s been a bit quiet on the Midday Musings front lately but you can’t really blame me. In a Canadian summer, the urge to be outside takes over and writing, reading, and really any indoor activity takes a back seat. In our house, summer is playtime. We have been lucky enough to host a steady stream of visitors this year (with more to come!) and have tried to make the most of the wonders in our backyard and beyond — those enormous mountains, freezing lakes, and the salty sea air. Even when we aren’t holidaying, it seems vital to squeeze every drop of fun out of the long summer days. Sometimes I have to pinch myself and remember that getting a bit tired by the end of the week is ok when you spend Monday afternoon paddle boarding, Tuesday evening hiking, and Wednesday night at a baseball game with friends. Will we be here next summer? I hope so. But just in case, we have spent some time exploring some of the biggest — and in my opinion, the best — mountain ranges and sights on this side of North America. In no particular order, here’s what we have ticked off our summer bucket list. 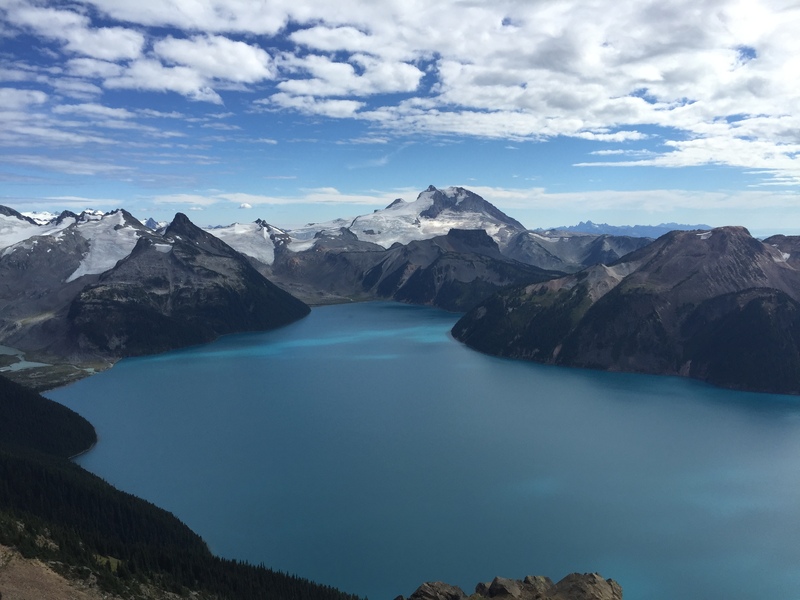 I’ve already raved about the Skyline Divide trail at Mt Baker (which still ranks as one of the best day hikes I’ve been on) but the Garibaldi Lake area near Squamish may nudge over the line for my #1 spot. You can complete one or even a few hikes in a single day but we decided to make a weekend of it. We spent a two nights camping at Taylor Meadows, getting up Friday evening to get a fresh start on Saturday. First up was the gorgeous trek up to Black Tusk, which seems to change shape depending on the angle you look at it. We braved the slippery gravel and gingerly scrambled over the rock ledge to reach the climbing chutes that let you gain access to the top of the tusk itself — before I completely chickened out. 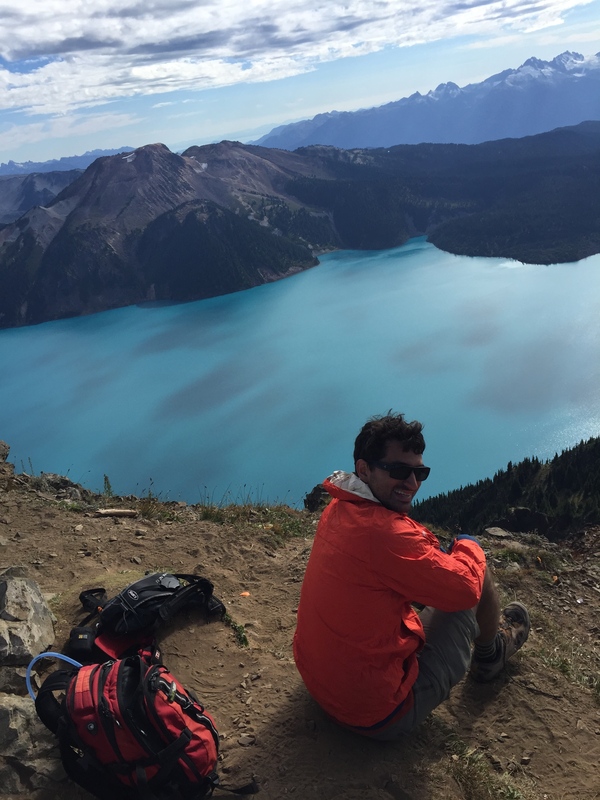 Mr Midday Musings and I bid adieu to our braver friends and decided to troop over to the famous Panorama Ridge trail to gawk at the magnificently blue lake. I’m glad we did. The views were simply spectacular. 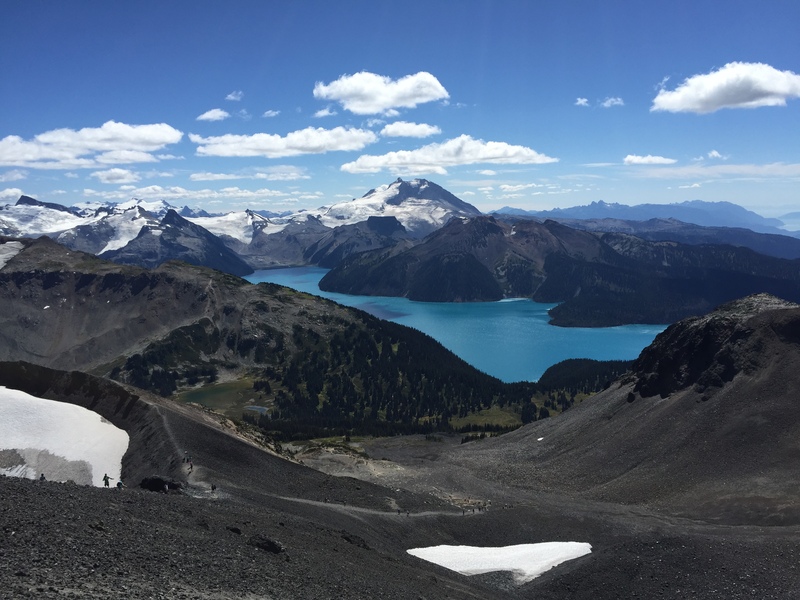 By the time we’d hiked up to the campsite, out to each point, back to camp, and out to Garibaldi Lake itself for a swim, and back down to the car, we’d covered about 46km. Verdict? Worth every step, and the soreness on Monday. 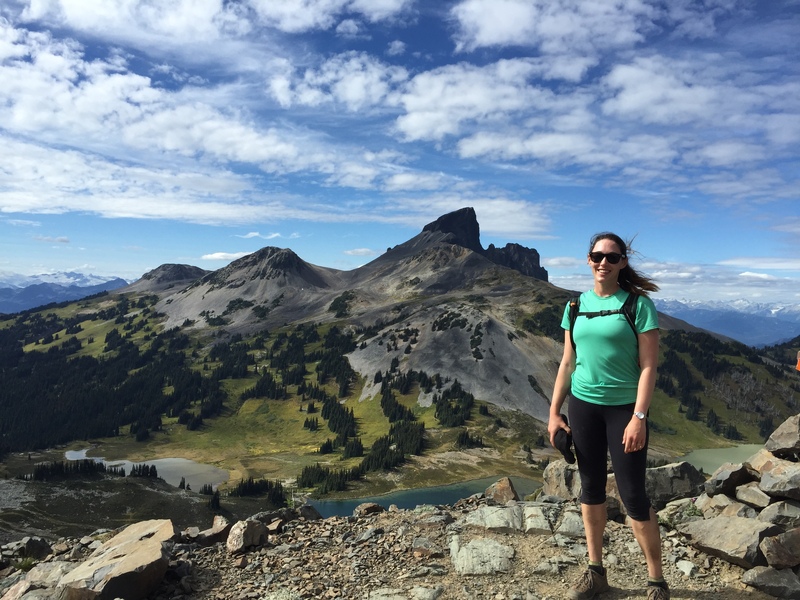 A much easier (and shorter) day hike in Jasper was another favourite from this summer. 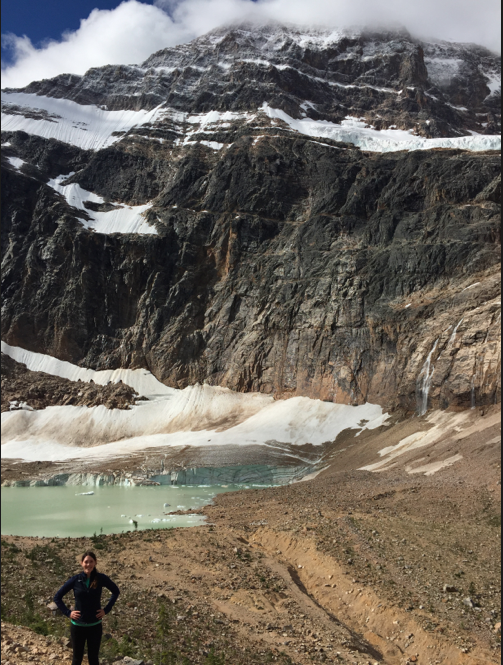 It’s about 8.5km if you include the walk down to the impressive Edith Cavell Glacier — and you really should include this part, as it’s pretty much the highlight of the trip. This is another “is this place even real?” kind of hikes, where you walk through meadows teeming with flowers while enormous mountains with glaciers that dwarf you seem surreally close. There’s a steep climb at the end where it was bitterly windy and cold — perhaps unsurprising considering it snowed during our July trip, but unexpected for us Aussies anyway! Recommended to us by a ranger as one of the best hikes in the area on a sunny day, there’s a 500m elevation gain, but the trail actually start fairly high on the mountain so it does end up being quite a high hike. Bring layers! Our fairly last-minute RV adventure in Alaska was actually one of the most fun vacations in memory! I’ve never been a fan of the idea of RVs, but with a desire to head into bear country, and a complete lack of research before we left, we thought a camper van would be a safer option than a tent. Unfortunately, things book out quickly in summer… so our camper van morphed into a rather large RV (although still apparently the smallest on offer). We quickly became converts though! With rainy and cool days, long driving times, and a few big hikes, we were incredibly grateful to come home to a bed, little kitchen, and shower each night. The best part about RV-ing in Alaska is that you can simply pull up on any road to camp for the night (unless there is a sign prohibiting this, of course). This was especially useful after our big day in Denali National Park. The park’s only road is open only for a few miles to the public, so visitors who want to explore further need to board (and prebook!) a shuttle. 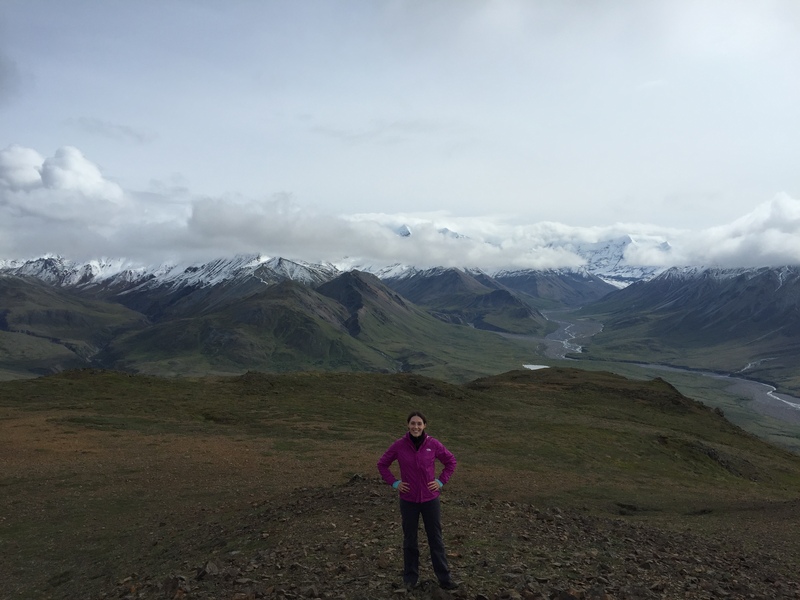 We opted to get out and stretch our legs at Eielson Visitor Center, where a short but steep hike up to a lookout gave us a sweet reward — the clouds parted and gave us a good view of Denali. 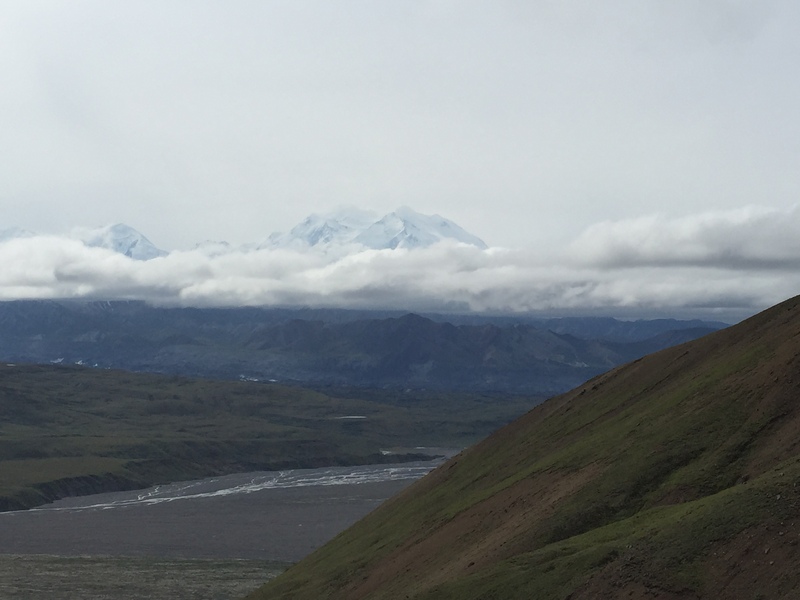 Known simply as “the “Mountain”, or by its traditional name of Denali, the offically-named Mt McKinley is the highest peak in North America and quite a sight to behold. This is another must-do in Alaska. We stayed in our RV on a public road in Seward, gateway to the misty, glacier-filled Kenai Fjords National Park. It’s worth taking a boat tour out to watch the impressive (although shrinking) glaciers calve into the ocean and spot wildlife along the way — we saw a pod of orcas, a humpback whale, puffins, and seals lazily stretching out on icebergs. 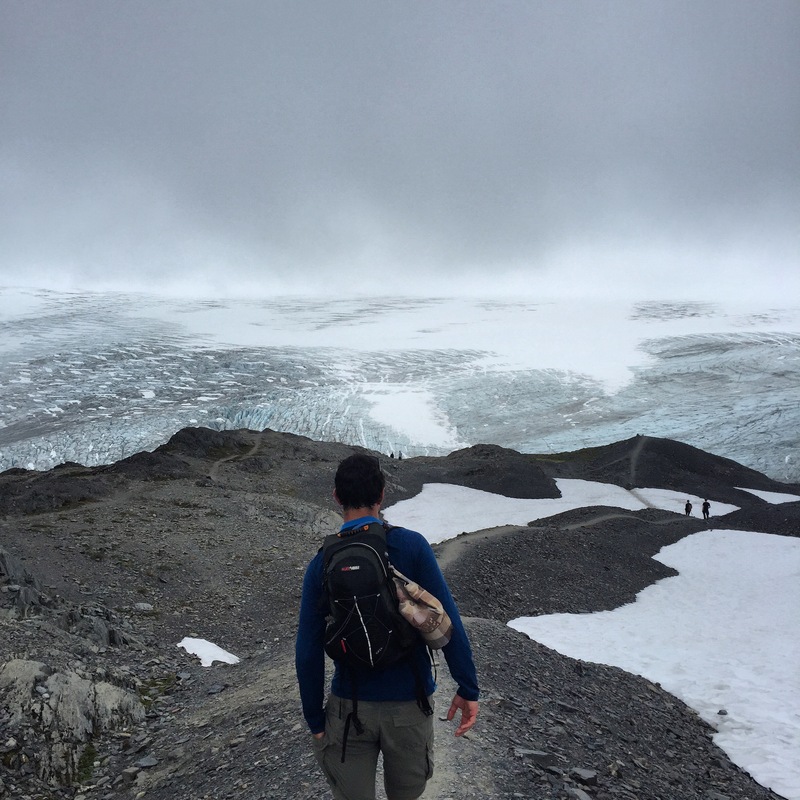 But for a sojourn on dry land, there really isn’t a better option than the incredible Harding Icefield Trail. The 13km round trip stars on the valley floor and winds up through switchbacks through forests, meadows, and finally into the rocky alpine until you reach the Harding Icefield itself. The view is like entering an ice age — or as my friend put it, a MEC ad. There’s nothing but ice as far as you can see, but this is only a snippet of the 777 square kilometres that the ice field covers. You also get a great view of Exit Glacier on the way up or down. It hash’t been all icy treks and glacier gawking this summer though. 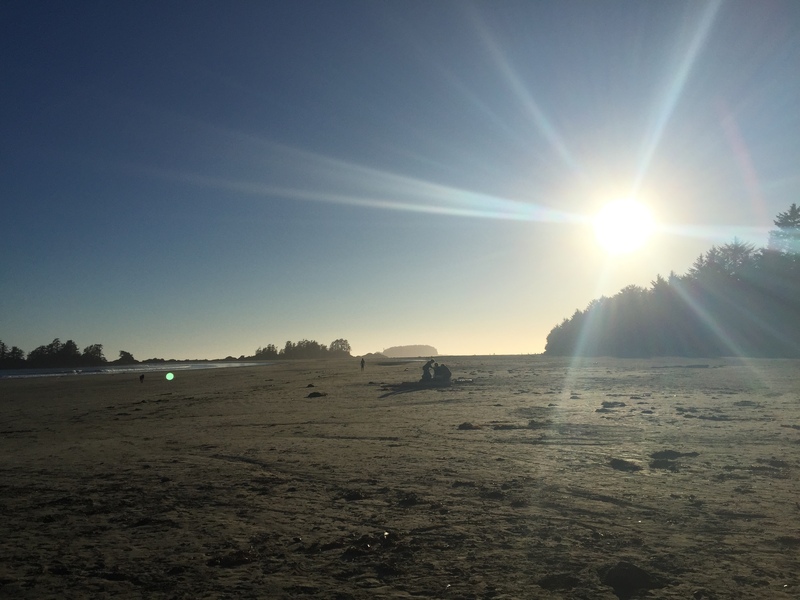 We also spent an amazing long weekend camping at Tofino to celebrate a friend’s 30th. I have to admit, despite everything I’ve experienced over here, nothing ever beats the feeling of salt water hitting your skin as you duck under a big, rolling wave. It’s still Canada, so naturally the water was freezing — I donned my first ever wetsuit before picking up a longboard. The waves are perfect for beginners and the beauty of Tofino is that it’s like being in a giant surf school — pretty much everyone in the water seemed to be novices and there was none of the intimidation that you can sometimes find in Australian waters. Simple, beautiful, and everything summer should be. I haven’t photographed every sunset or smile this summer, but rest assured, there’s been a lot them. I realise how lucky we are to experience all this beauty every day, but I’m still kind of looking forward to the steadier pace of autumn. If nothing else, I need some more sleep! Beautiful pictures – what an amazing time you’ve had! Those views are just breathtaking. Thanks! It’s been pretty amazing — and there’s still so many amazing things to see!